Indian tablets market is booming. If you’ve been following our blog regularly, you might have noticed atleast 1 new android tablet or phone launches past week. So, here comes another One. 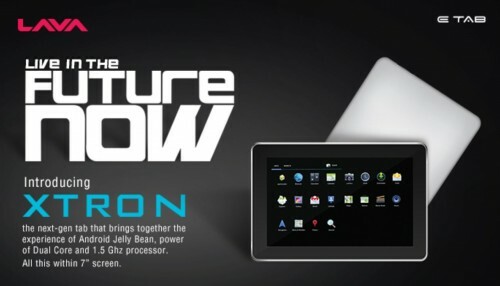 It is Lava Etab Xtron, 7-inch jelly bean tablet, launched at price of Rs. 6,770 INR. So, the price makes it fall under cheap jellybean android 4.1 tablet category. 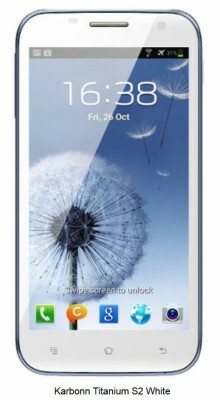 Talking about its specification, it has 1.5GHz dual core processor with quad-core GPU. The processor and graphics chip combination sound really good on paper for a tablet under this budget price range. The display is of 1024*768 resolution. It’s a 7-inch IPS screen. 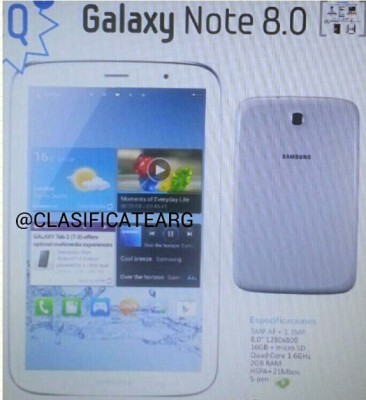 On the storage side, It has 8GB inbuilt memory with support for external sd card. It has sufficient amount of RAM also i.e. 1GB RAM. 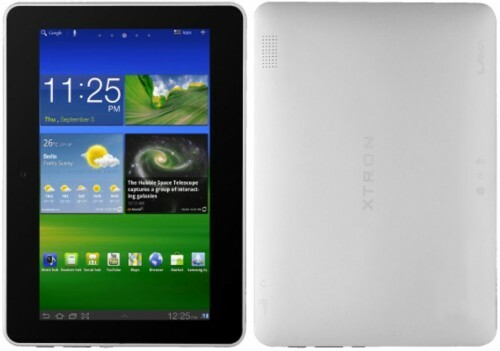 Etab Xtron has battery of 3500 mAh capacity. It comes with various useful preloaded apps, games and freebies, entertainment package worth Rs 2,000 free from Hungama, 1 month unlimited online movie package subscription from BigFlix for just Re 1, free vedic maths package, discounts worth Rs 4,000 from meritnation, a free career booster package and additional 20 percent discount from edukart as well. At the given price, Lava Etab Xtron is good, but how it performs in real is yet to be seen. It has 2 mp front camera also, but no rear camera. It has WiFi, but it doesn’t have inbuilt sim card slot for GPS/3G. We see many tablets launched in India without sim card slot. This gives us fair hint of how these cheap tablets in India are primarily used for entertainment purposes like gaming and ebook reading. Of course, one can access 3G via compatible usb dongle with this tablet or via WiFi, but we do know how flourished our neighborhoods are with WiFi setup. So, in short, Indian tablet market is flooded with high-performance cheap tablets without sim card support, or on other other hand, cheap tablet with sim card support but compromising on performance driven specifications. Keep your tab on us to learn more about new android devices.